Are you a person who loves munching on fruits? 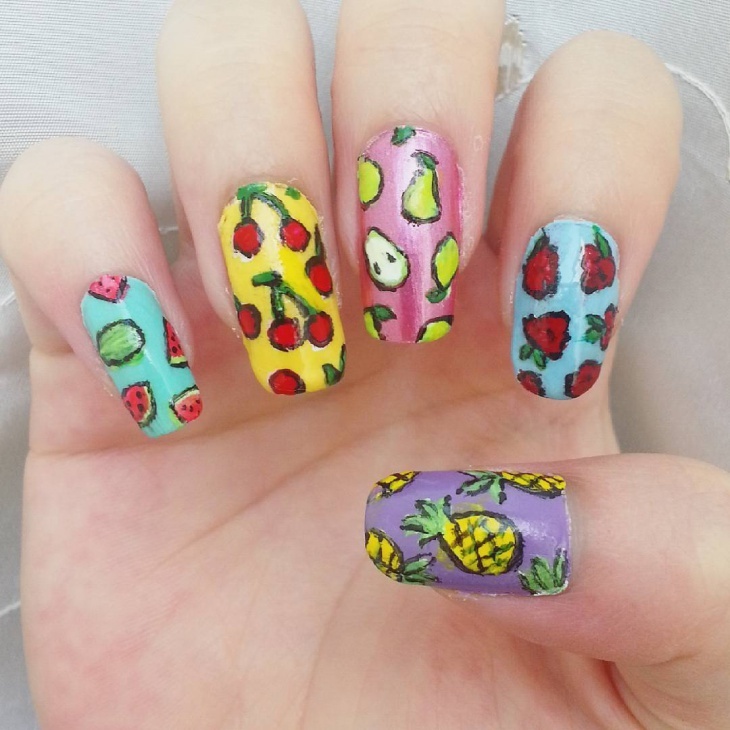 If yes, then you would definitely go crazy about fruit nail art. The basic concept which is common in most of the clothes and accessories which people wear during the summer season is the rampant use of colors. 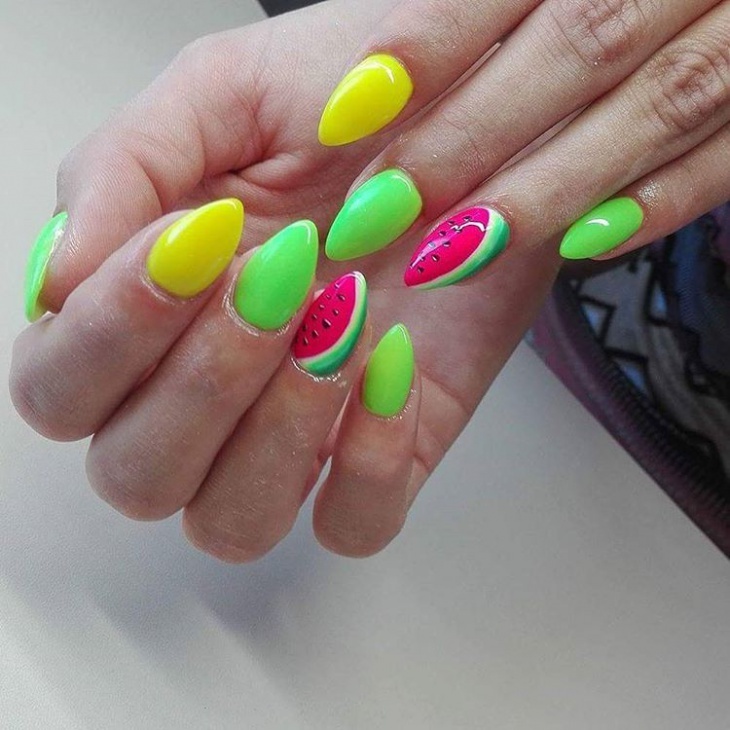 This is where fruit nail art designs comes into the picture. 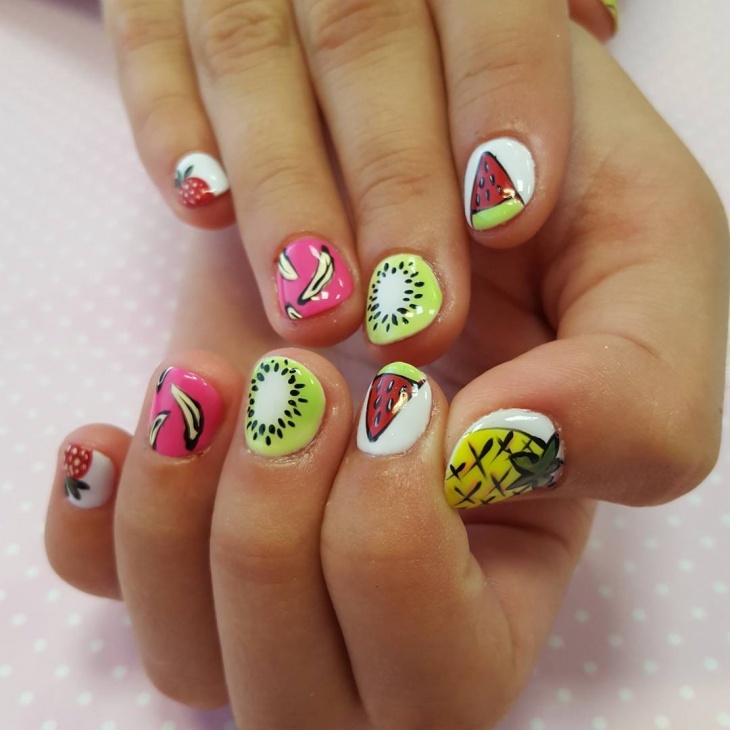 Another fruit nail art, which is extremely popular in this category of cute nail designs, is food nail design. 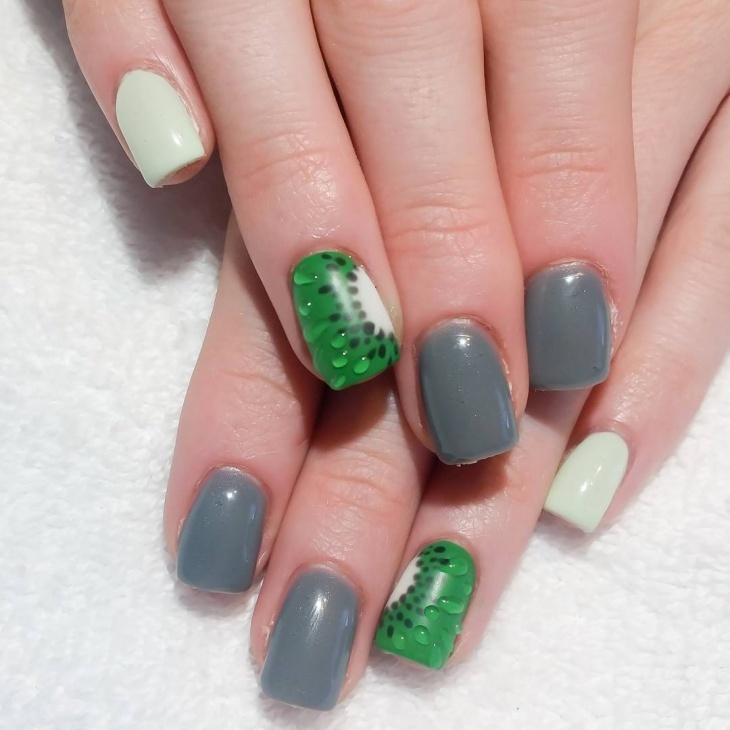 Coming up next is the fruit slice nail art design. This is designed specifically for those who are deeply in love with fruits. 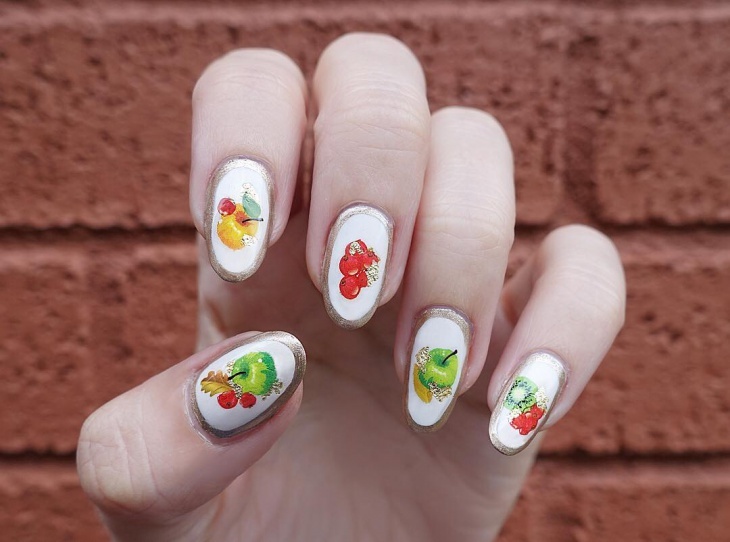 A slice of different fruits is painted on each nail, which makes it look extremely colourful and attractive. 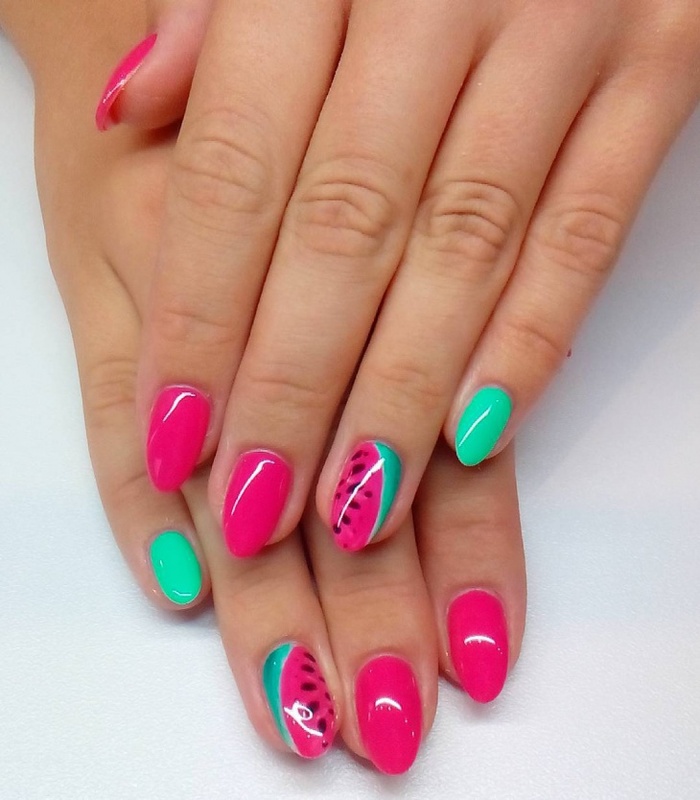 Next up is the watermelon fruit nail art. Watermelon is a fruit which is a hot favourite during the summer months. The combination of green and red makes this nail art look stunning. 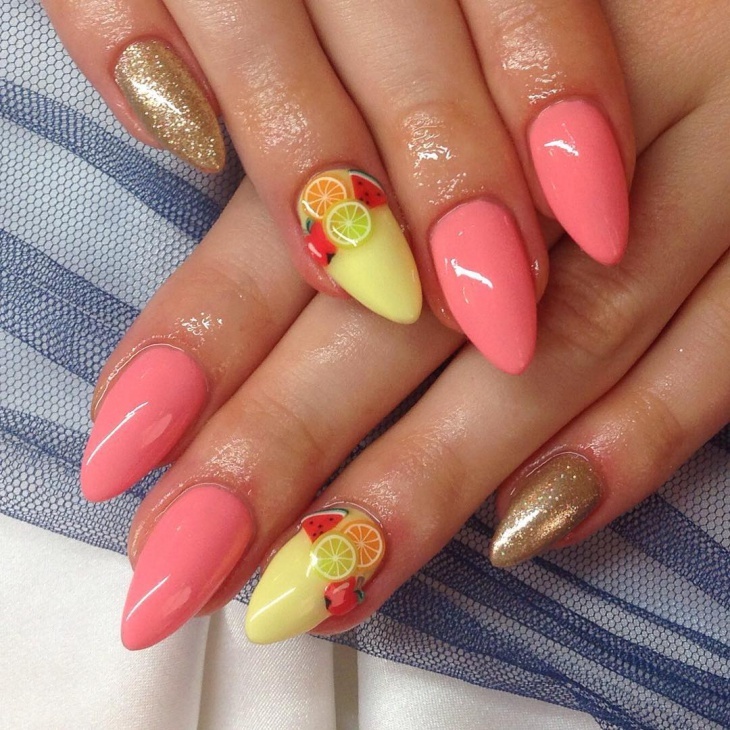 At the fourth spot is the 3D fruit nail design idea. This nail art is designed for those who wish to set a style statement. This nail art looks totally out of the box and completely trendy. 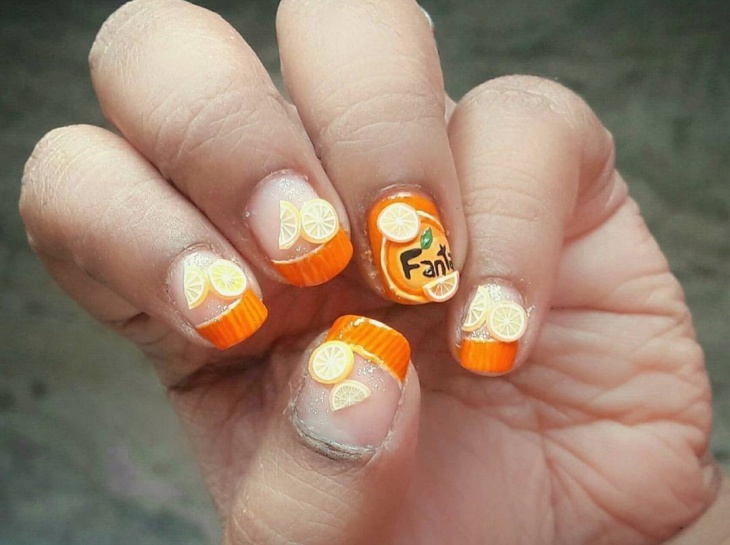 The orange fruit nail art comes at the next spot. Orange is a favourite fruit for most people. 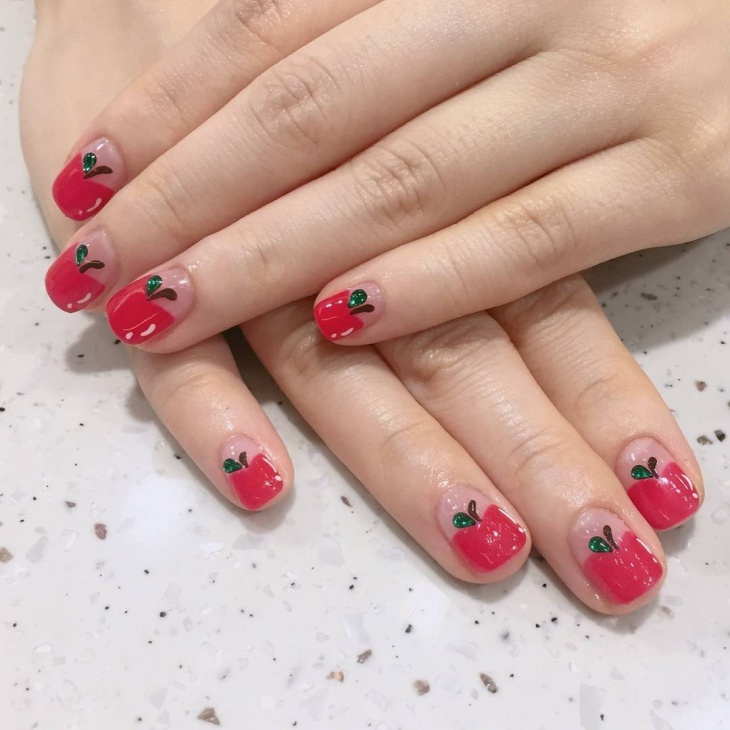 This nail art design is extremely popular because of the ease with which it can be done and also because it looks extremely cute. 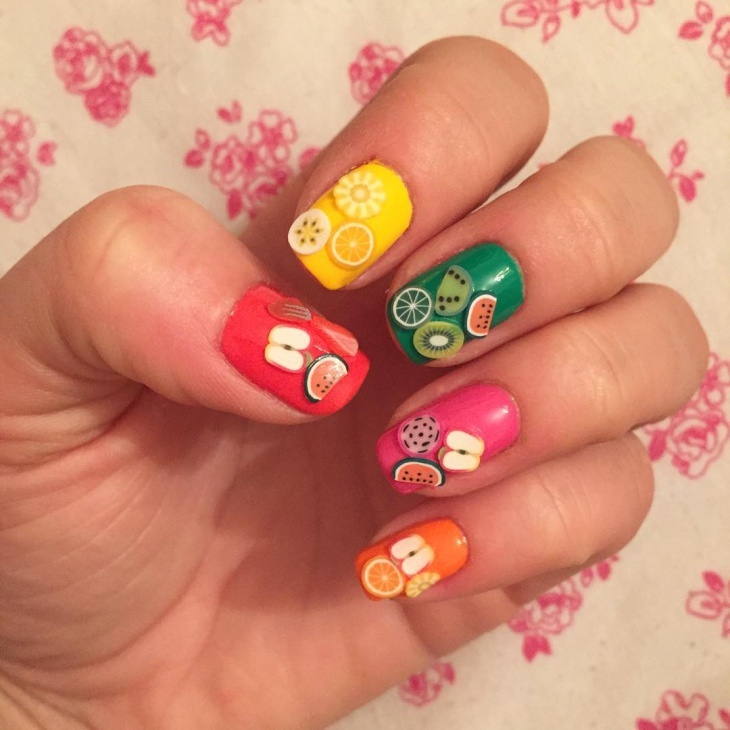 Next up is the fimo fruit nail design. 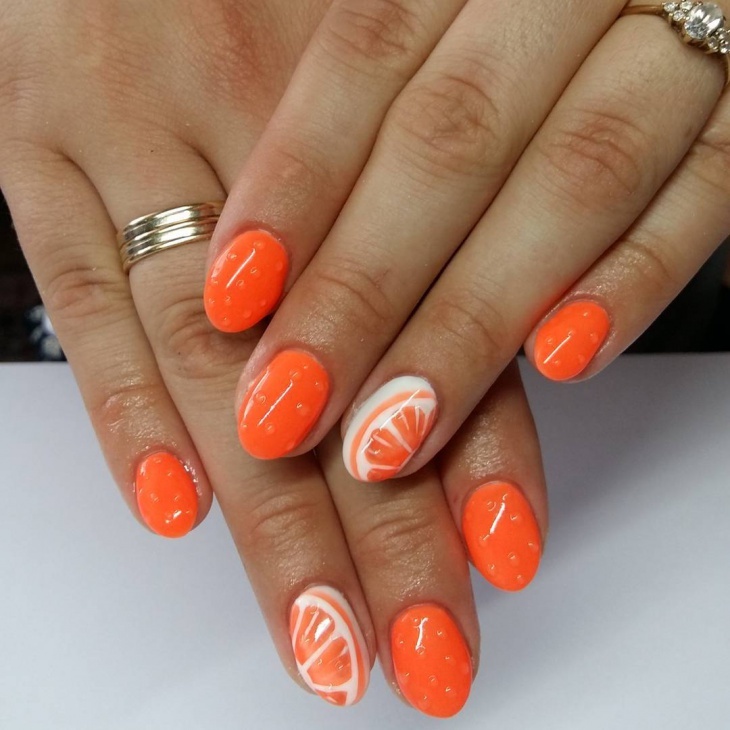 Fimo is a highly popular concept where nail art is concerned. This is a form of accessory, made of clay, which is used for doing nail art. 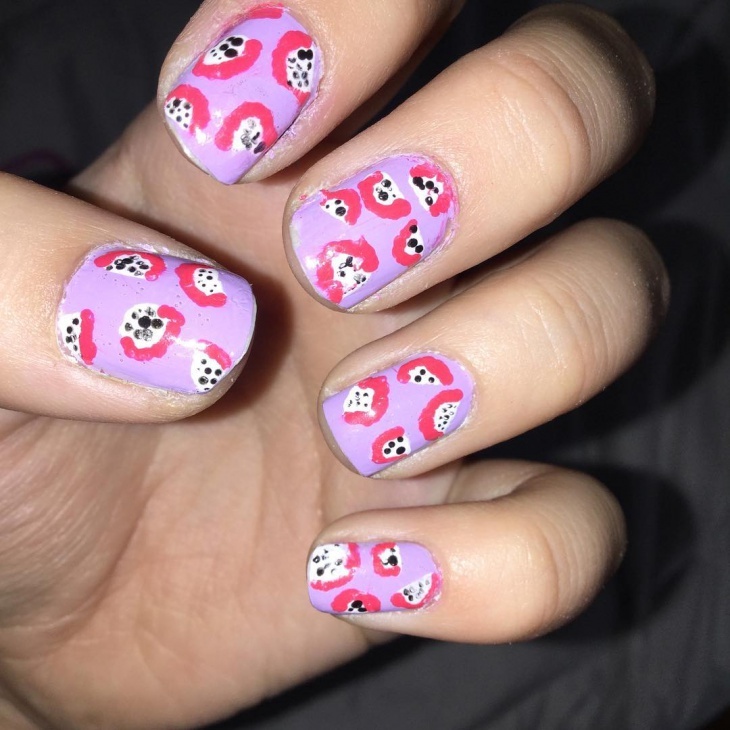 Doing nail art is a lot of fun using fimo. 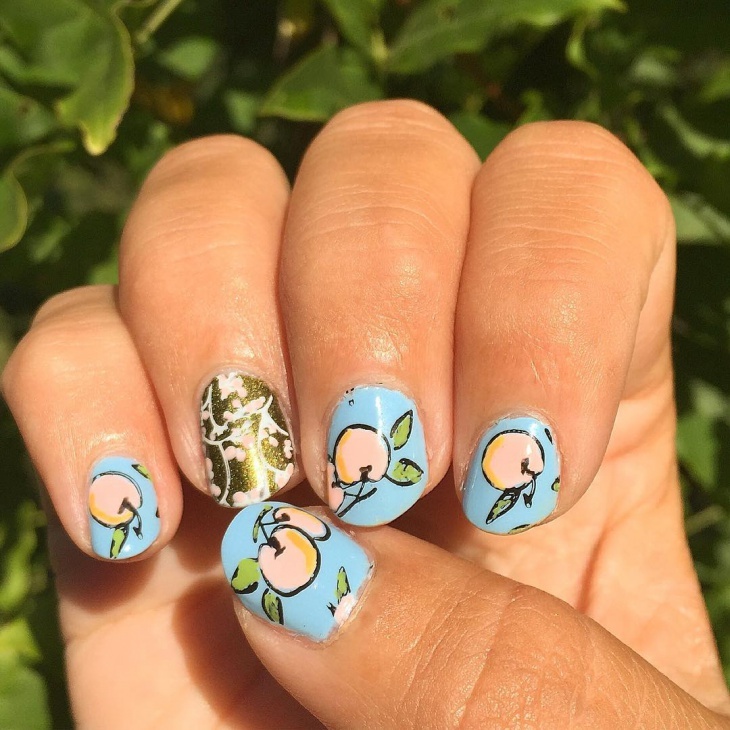 At the next spot is the apple fruit nail art. This nail art is for those who wish to make their nails look simple and stylish at the same time. This nail art design looks very girly and cute. 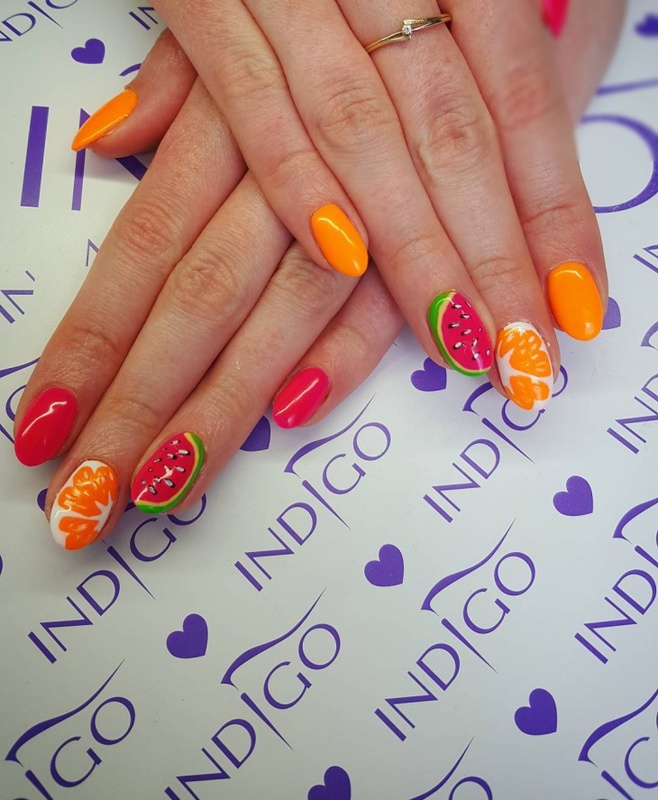 The multicolour fruit nail art design comes next on this list. 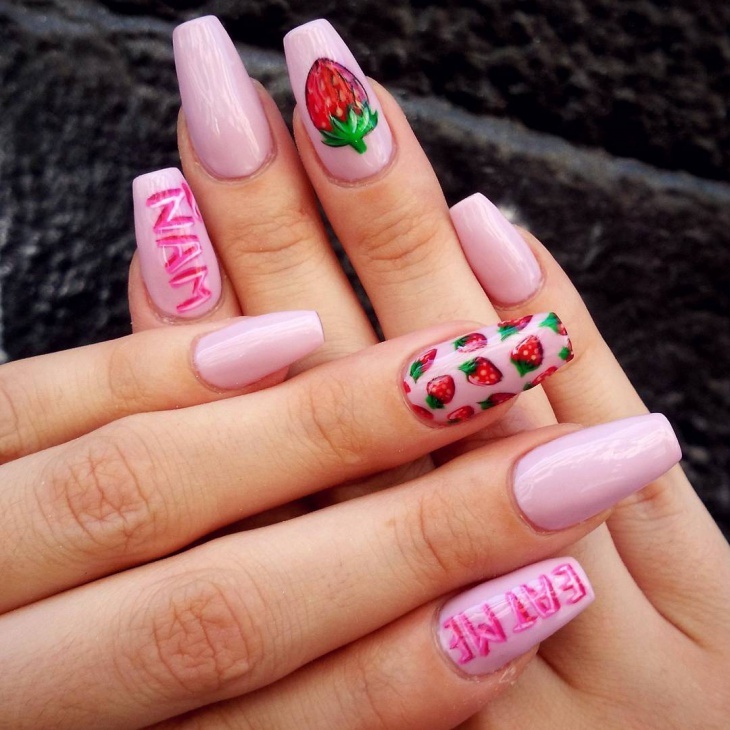 Due to the use of numerous colours and also due to its trendy look, this nail art design has become a rage among the teenagers. Next up is the dragon fruit nail art. Dragon fruit is also loved by many people as it is filled with nutrients. This is a popular design where nail art is concerned as it looks alluring and classy. 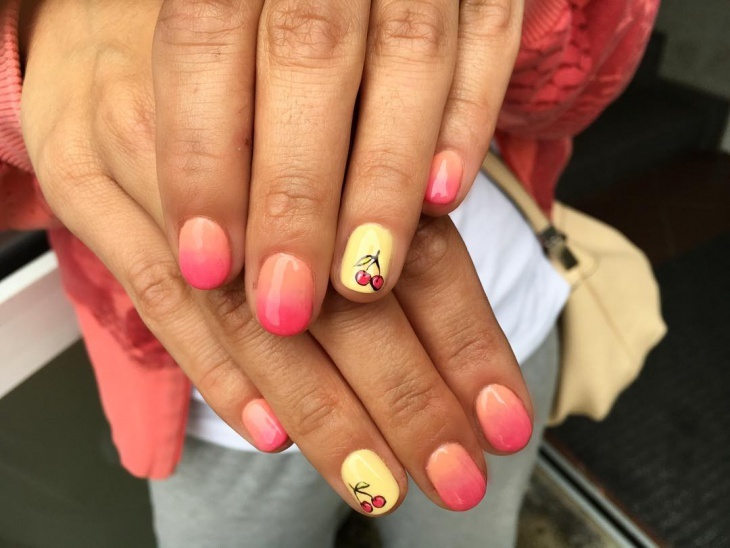 Getting fruit nail art done on your nails adds a sort of enthusiasm and fervour in your life. It also helps in bringing out the small child that is hidden somewhere deep inside you. 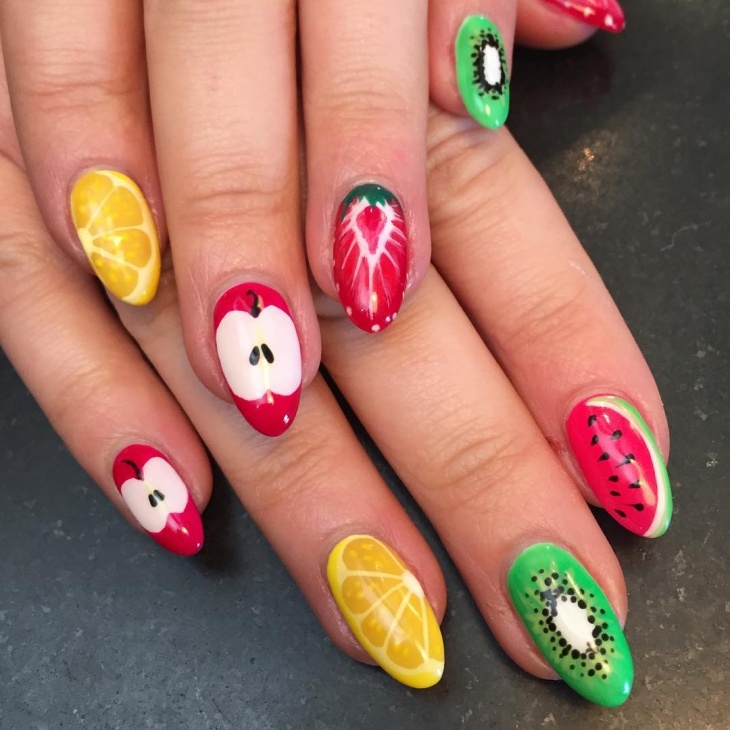 Even if you do not love eating fruits, one look at these beautiful fruit nail art designs will definitely make you wish to munch on fruits. 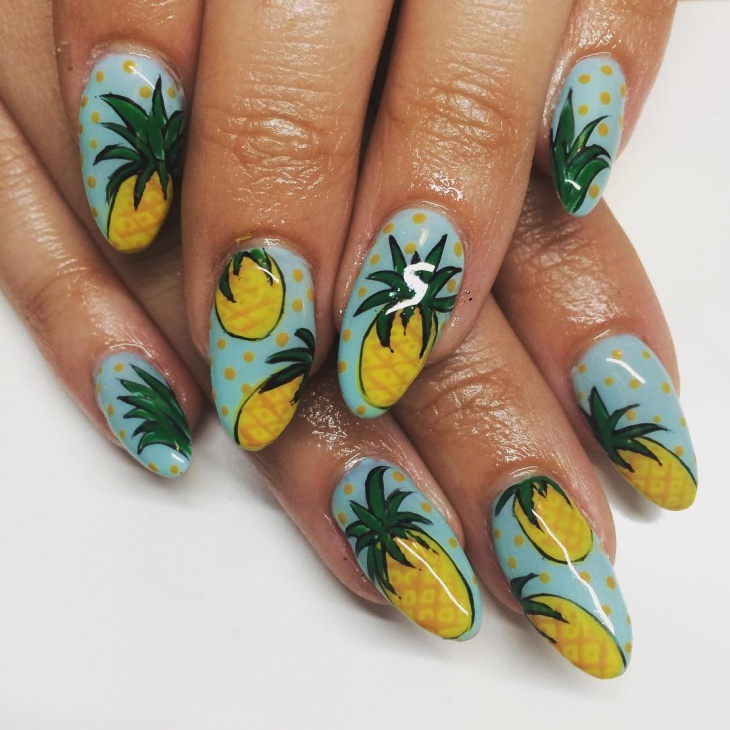 Acrylic nail designs and tropical nail art have also gained a lot of popularity due to their ability to make you stand out in a crowd. 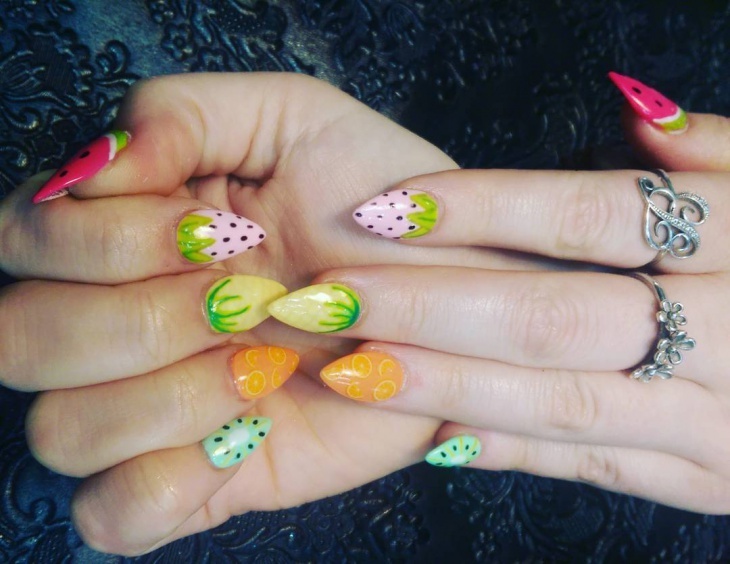 So, let your imagination travel and beautify your nails with some amazing fruit nail art designs.